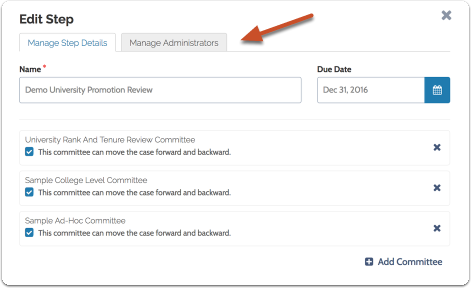 If you need to recuse an Administrator, you will most likely do so when creating or editing a case or template. 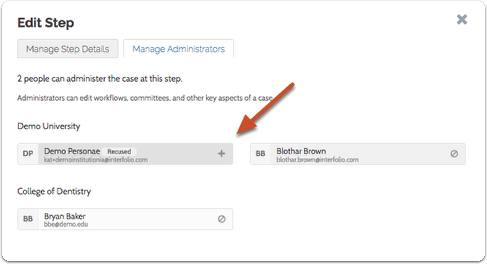 See here for more information on recusing an Administrator when creating a template, and here for instructions on recusing an Administrator when creating a case. 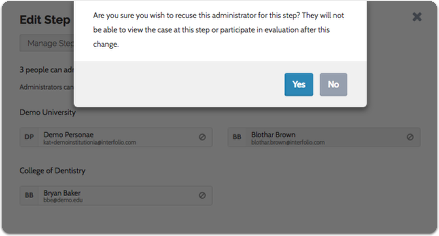 Follow the instructions below to recuse an Administrator when editing a case. 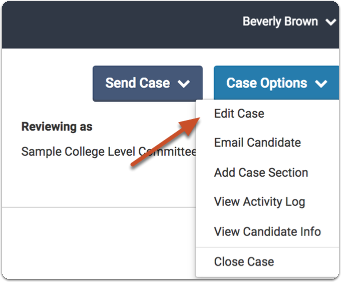 Click the Case Options menu to the top right of the page and select "Edit Case"
The Administrator will lose access to the case when it moves to this step and regain access when it moves to case review step for which they are not recused. 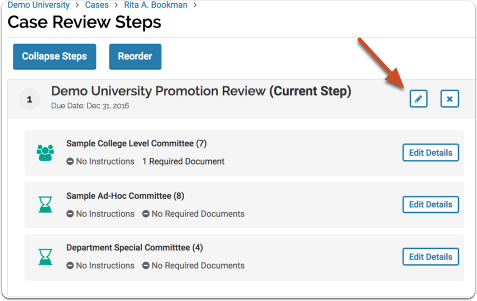 Notice that you can also self-recuse. 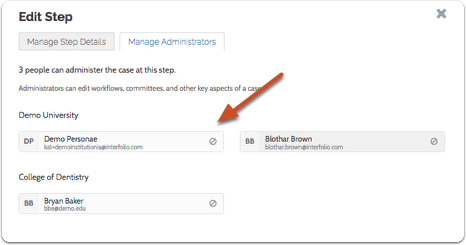 Click the addition symbol if you want to add the Administrator back to the case at this step.